The touching of the vase to the crown of the head is the outer empowerment. The inner empowerment is to visualize yourself as the deity. The real empowerment is to realize the nature of your mind. When you cultivate bodhicitta, that is the real deity, and when you do this, that is when you actually receive the empowerment over the internet. If you live near the temple and think, "Oh, I don't need to go to the temple; I can just receive the empowerment over the internet," that is not the right motivation. If you have the opportunity to come to the temple, then you should come.If you don't live nearby and cannot come, but with all your heart would like to, that is the right motivation for receiving the empowerment over the internet. Whoever has faith and devotion will receive the empowerment regardless of where they are, because the dharmakaya pervades like space. Even if you come to the temple to receive an empowerment, if you have no devotion you still will not receive it. To quote Lord Jigten Sumgon, "You receive the empowerment only when you understand the meaning of the empowerment." I really think you have to watch this live if you really want the empowerment. Recordings are no good. That specific question was asked to Garchen Rinpoche through the live chat on ustream. His answer was 'yes' you can receive empowerment from his recorded empowerments online. Lhasa wrote: That specific question was asked to Garchen Rinpoche through the live chat on ustream. His answer was 'yes' you can receive empowerment from his recorded empowerments online. heart wrote: I really think you have to watch this live if you really want the empowerment. Recordings are no good. Magnus is right, the dharmakaya only pervades everything during the empowerment. The rest of the time you are SOL. If people have faith in this, then fine. I don't personally believe one can receive a valid empowerment though a recording. But that is just me following the advice of my guru. Your mileage might vary. I seriously doubt that, perhaps he didn't understand the question. However, I have heard him say that receiving it by the way of livestream is valid. and how does not the dharmakaya pervade everything if its not empowerment. 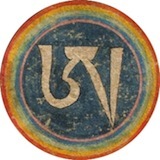 dharmakaya pervades everything period. I read in the bardo guidebook by Chokyi Nyima Rinpoche that if you dont generate realization during the empowerment, you dont receive the empowerment. you just receive the blessing of having participated in the empowerment. and i think this is a common misunderstanding among westerners that what empowerment actually is. people just think that if the vase or torma touches your head you receive the empowerment. i think that way you only get permission to practice the deity if you get the lung with it, connection to the deity and the guru. but no empowerment. you dont receive the blessing and the realization that the guru is offering you. i think you will receive as much as you are open and receptive. and from my point of view, dharmakaya pervades everything and transcends time so recording or not its the same. and sometimes when i listen to a recording of something its like God is directly talking to me, so i defenitely think and believe that there are blessings and empowerments in the recordings, allthough it is not the same as receiving empowerment live in the gompa or through livestream. but if Garchen Rinpoche says you can receive the empowerment through the recordings i would believe him, and this is the second thread i have come across someone saying you can receive them through recordings. i think its mostly up to you if you are open to receive the empowerment or not. Karma Dorje wrote: Magnus is right, the dharmakaya only pervades everything during the empowerment. The rest of the time you are SOL. Good Lord, did I really need <snark> tags on that comment? what are snark tags ? KonchokZoepa wrote: but if Garchen Rinpoche says you can receive the empowerment through the recordings i would believe him, and this is the second thread i have come across someone saying you can receive them through recordings. i think its mostly up to you if you are open to receive the empowerment or not. Then why watch the recording, you could just pick up any empowerment you want at any time, no? Good luck with that! i think you ignored that quote and did not really read it. or want to hear it. KonchokZoepa wrote: i think you ignored that quote and did not really read it. or want to hear it. No, the only quote by Garchen Rinpoche in this thread is not talking about recordings. I have taken several empowerment's from Garchen Rinpoche in live webcasts and the quote above corresponds to what he said in those teachings. He wasn't talking about recordings, he was talking about live streaming. i dont think this quotes outrules recordings. It certainly doesn't include them. This above is more or less what he said during one livestream I participated in. It was obvious to me he was talking about livestream and not recordings. I have emailed to Garchen Institute for clarification. I will post here when I get an answer. I am eager to hear the official response. This is an interesting issue that lamas have very divergent viewpoints about. We were told the following by Garchen Rinpoche for empowerments that Garchen Institute has put on Ustream. The recordings can be included as well as the livestream. It is not my impression that these apply to all empowerments available online, but for the ones he’s approved. Other lamas may have different requirements and it is important to follow the instructions of the Lama giving the empowerments. “The touching of the vase to the crown of the head is the outer empowerment. The inner empowerment is to visualize yourself as the deity. The real empowerment is to realize the nature of your mind. “When you cultivate bodhicitta, that is the real deity, and when you do this, that is when you actually receive the empowerment over the internet. “If you live near the temple and think, ‘Oh, I don’t need to go to the temple; I can just receive the empowerment over the internet,’ that is not the right motivation. If you have the opportunity to come to the temple, then you should come.